Tim Flynn was a guest speaker and a jury member at the International Architecture Conference in Astana, Kazakshtan. It was a joint forum on architecture, design, technology, management, office and public spaces. Tim presented on the topic of trends in the design of educational and public spaces and the possibility of social and cultural facilities as the drivers of the urban environment. The short-list included 100 projects and among the nominees were business and shopping centers, offices, interiors, showrooms, restaurants, and complex city improvement projects. Prizes were awarded to projects in 12 categories. Among the winning projects were the offices of Microsoft, Verniy Capital, Kazakhstan Financiers Association office, projects of ForteBank and Talan Towers. 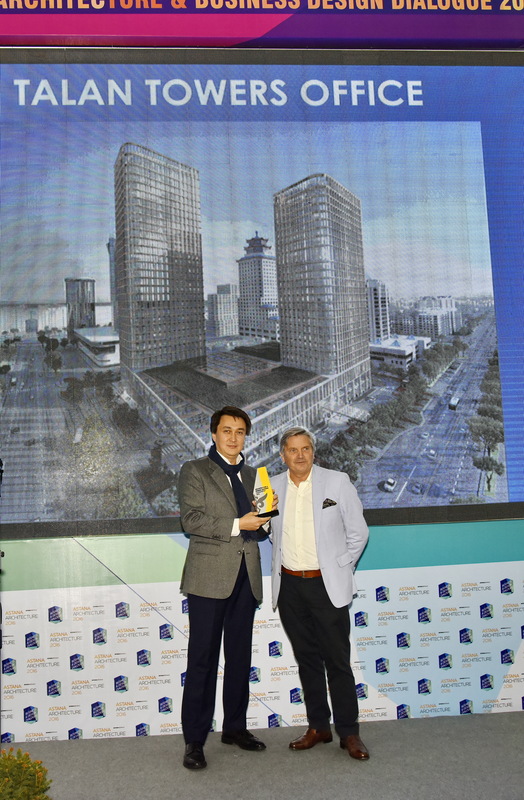 In addition, a special prize was awarded by Astanagenplan to a renowned Japanese architect Yuji Imaio for the implemented project of Equestrian Country Club Chamberlain near Almaty.